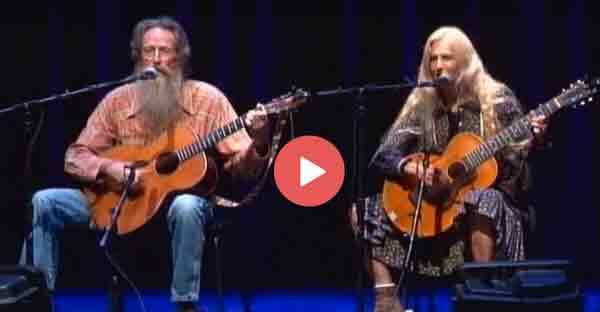 Larry Hanks and Deborah Robins don’t try to complicate a song. They don’t add frills and trills and needless grace notes. Instead, they choose great old songs and sing them in a straightforward way that gets right to the essence of the music. It’s a simple approach with a minimum of fuss and accompaniment, and the result is solid, pure, elemental. Chicago Magazine has credited Larry with “some of the best interpretations of Bruce Phillips, Malvina Reynolds, and Woody Guthrie to be heard anywhere.” Inspired by the music of Leadbelly, Sam Hinton, and Woody Guthrie, Larry has been singing classic songs for more than 50 years, topical and political songs, cowboy and work songs, sad ballads and rollicking romps, bringing out the shine with his rough-hewn bass vocals, tastefully spare guitar accompaniments, and the occasional virtuosic riff on the Jew’s harp. Deborah’s lovely harmonies rounds out the sound beautifully, so that each song feels full, complete, yet uncluttered. 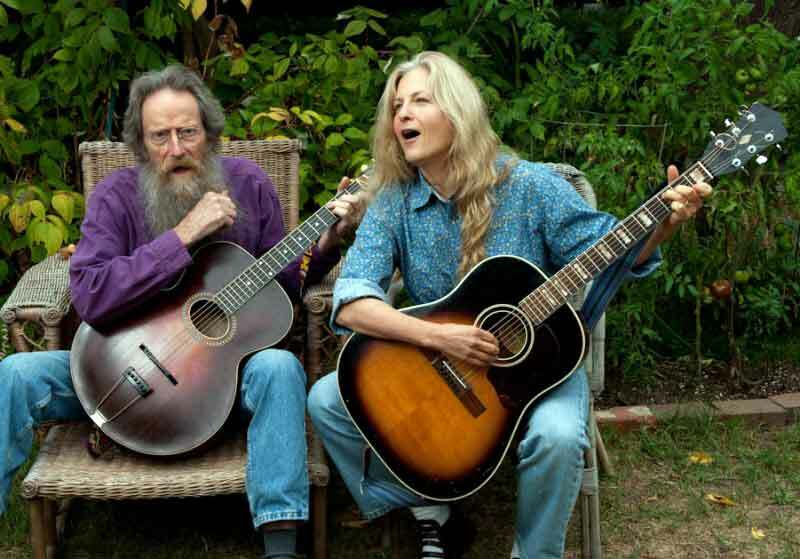 Larry has performed with hundreds of musicians throughout his long career, including Utah Phillips, Mike Seeger, Geoff Muldaur, Gordon Bok, Jody Stecher, Malvina Reynolds, Fred Holstein, and Janis Joplin. He and Deborah have collaborated on three albums. Listen closely, and they’ll transport you to another time and place! Tickets: $18; seniors, students, union members $15; children under 12 free. Online ticket sales are now closed, but tickets can still be purchased at the door.